A lot of blues musicians seem to be in the mood to mix things up at the moment. To shake the tree, hike on out of their comfort crossroads and flex underused muscles to see what gives. We can now add Hendrixian six stringer Eric Gales to the list. Teaming up with Maroon 5 producer Matt Wallace, he has decided to focus on songwriting and vocals while Wallace adds a sleek sheen to the ensuing proceedings. We know Gales can play, let’s see what else he can do. We start as per usual for Gales, with a brief display of guitar pyrothechnics before easing into ‘Somethings Gotta Give’ – an acoustic intro gives way to some slinky electric funk. 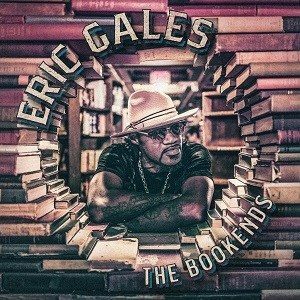 Gales shares the mike with Grammy award winner B. Slade and more than holds his own, their voices blending very favourably indeed. An understated solo drops out into some acapella gospel. The funky theme continues with the Chilli Pepper style ‘Whatcha Gon’ Do’ (see above). Naturally groovy licks switch up into a crunching midsection and an epically groovy bass moment before Gales lets rip on guitar. But, kudos to Mr. Wallace – although we are never short changed in the guitar department it is never allowed to overwhelm the songs. The guitar is a tool, not a be all and end all. We are also treated to epic guitar ballads and full on blues rockers along the way while the jaunty ‘Somebody Lied’ reinvents guitar based soul. There are several stand out tracks – ‘It Just Beez That Way’ mixes bluesy acoustics and beatboxing before heading into a seductive soulful jam, there’s even a hint of jazz fusion in the solos. It’s Stevie Wonder and Bill Withers…with added guitar. Lots of guitar. ‘Southpaw Serenade’ is taken at a very chilled pace and sees Gales tracking licks with Doyle Bramhall II (on whose recent solo album this track would have been right at home. Its 8 plus minutes wash over you, relaxed solos take over from jazz keys and it wails (soporifically) to it’s all-over-too-soon conclusion. Beth Hart joins in for a powerful take on ‘With A Little Help From My Friends’ – we go the Joe Cocker route rather than the Beatles…but heavier. There is nothing low key about this, Hart pours her, erm, heart and soul into this while Gales, knowing better than to try to compete, wisely takes a step back vocally and lets his guitar do the talking, roaring towards a humungous, OTT finish. Gales, after 18 albums, may have finally nailed his sound. Guitar wizardry mixes perfectly with songcraft and vocal prowess to create an enjoyable, impressive, balanced album. It’s his second album recorded free of any undue chemicals or liquids…stay clean Mr.G.